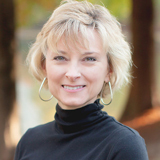 Stacy became a CPA in 1987 and has been with the firm since 1995. She works primarily in the areas of tax planning and tax return preparation for individuals, small businesses, trusts and estates. She is a Certified Specialist in Retirement Planning as well, and uses this knowledge to assist clients in developing a comprehensive financial plan. She also enjoys working with clients in setting up new businesses. She helps them navigate the rules and regulations so they can concentrate on what they do best – running their business. A large portion of her work with the firm is with trusts and estates. She does estate planning for individuals and gives assistance to clients who find themselves in the position of estate executor. She assists the inexperienced executor with matters of estate administration and prepares the required returns. Outside of work, Stacy enjoys practicing yoga, reading, and traveling with her husband, Bill.